A visit to Georgia’s first city is a vacation that will be filled with fascinating history, beautiful natural scenery, magnificent Victorian architecture, and quaint country squares. It is also a favorite destination for those seeking ghostly encounters. Savannah has earned a reputation as America’s most haunted city. It’s not surprising that this lovely Southern city has its share of haunted cemeteries – a must visit for anyone who’s ready to have a paranormal experience. 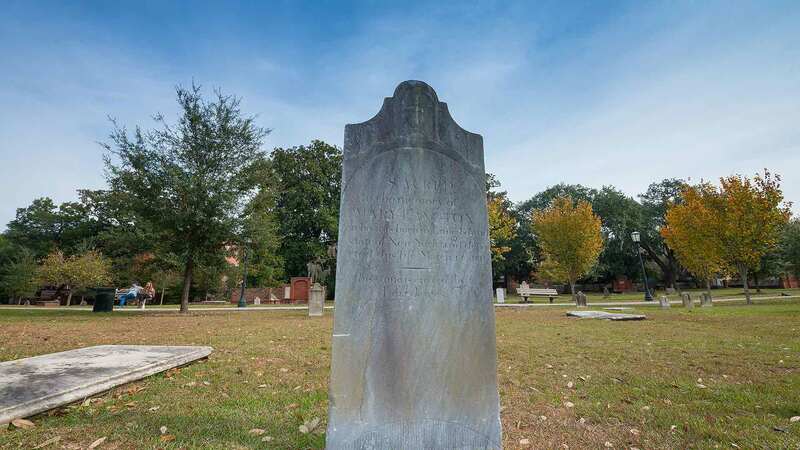 Considered one of the most haunted places in the city, Colonial Park Cemetery is the oldest burial ground in Savannah and is located within the heart of Savannah’s historic district. 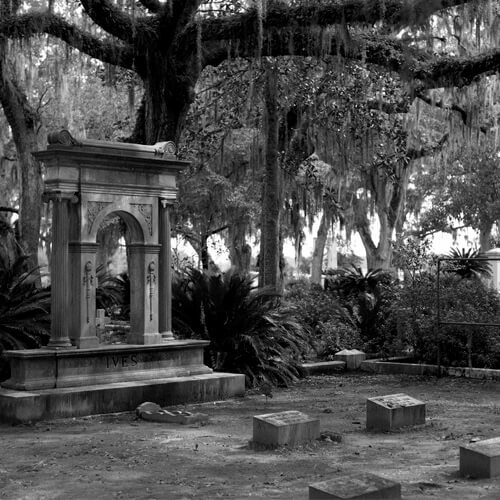 Burials here began in 1750 – making it the final resting place of many of Savannah’s earliest residents. The numerous ghosts and apparitions, mysterious sounds and sights are believed to be caused by the tragic deaths of the thousands of victims of the Yellow Fever Epidemic and the many dueling deaths that were too numerous to count. Whatever the cause, it is not disputed that this historic cemetery has its share of eerie events. There’s one ghost that seems to be more visible than the others: A man who was convicted of murder and the story goes he was hung inside the cemetery from a tree. Many who visit say they have seen Rene Rondolier hanging from that same tree; others say they saw him walking amongst the graves. The story of Rene’s ghost has been repeated so many times that some call the cemetery Rene’s playground. The other sightings and mysterious encounters include voices, shadowy figures and more. 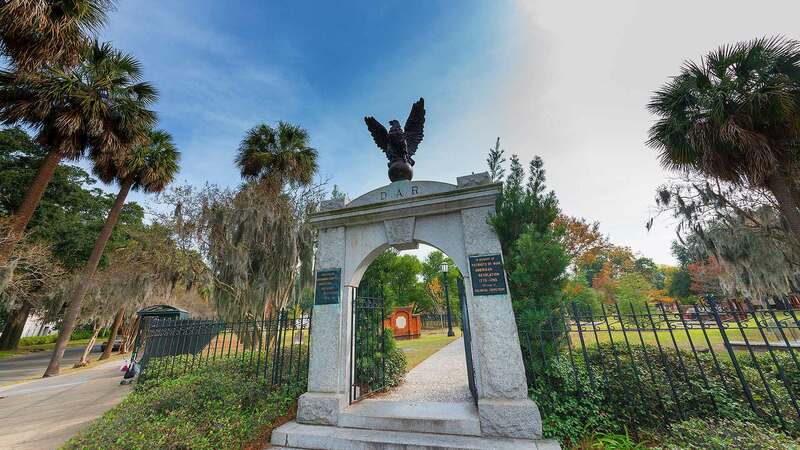 Located along the Wilmington River, Bonaventure Cemetery is known for its gorgeous magnolia, dogwood and live oaks, colorful azaleas and interesting tombstones. This beautiful setting has made the more than 150-year-old burial ground one of the most photographed cemeteries in the country. Made famous for its role on the cover of the bestseller, Midnight in the Garden of Good and Evil, Bonaventure beckons tourists to stop by. But among all the natural beauty, there’s a supernatural side to the cemetery that draws in ghost enthusiasts and curious visitors from all over the world. The most well known spirit here is that of little Gracie Watson who died of pneumonia at 6-years-old. A statue that was carved in her honor stands in front of her grave site and many people place coins and toys at the base of the statue. Those who’ve stood close to her grave site have reported seeing the beautiful little girl and others have said they saw tears of blood streaming down from the angel’s eyes. Bonaventure has several other elaborate statues and guests have told accounts of them grimacing and smiling at them when they stood in front of them. The cemetery is not without its spooky or inexplicable sounds – like that of a baby crying near an infant’s grave, giggling children or perhaps the most disturbing, the sounds of a pack of dogs snarling and barking angrily. No one has ever seen the dogs but many have heard them. Are they real or a figment of imagination? It’s worth a visit to find out. Established in 1853, this ancient cemetery was created after Colonial Park became too full for any more burials. A segregated burial ground, the north side was reserved for the whites, the south for blacks. Among the famous laid to rest here are Girl Scouts Founder Juliette Gordon Low, 24 different Savannah Mayors, a US Supreme Court Justice as well as more than 1,500 confederate soldiers killed in the war. 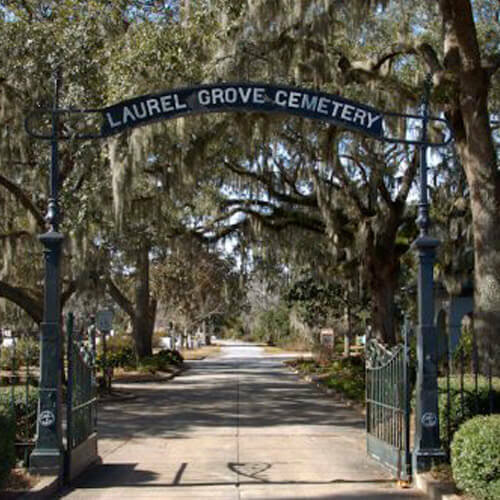 A walk through Laurel Grove will remind you just how separate life was back in the Civil War era and even beyond. In fact, there are two separate entrances and the distinction between elaborately carved figures and headstones and simple grave markers is quite evident. But it is the hauntings that lure in visitors- instances that include the sightings of a woman dressed in a wedding gown wandering about and the sounds of heavy footsteps when no one was in sight. There’s also the ghost story that dates back all the way to 1894 when a trolley line that traveled past the cemetery reported that every time the railway car passed the cemetery, they would hear the sound of a child crying. The crying continued for many years – every day and only in car #28. The workers on board reported that although the sounds were pitiful and spooky, after a while they got used to it. No one ever saw a child inside the car. Take a stroll through this lovely cemetery to enjoy its history and natural scenery; but beware of lingering spirits.